St. Croix Collections was established on the belief that excellence, and indeed, perfection, were reasonable goals to achieve when creating menswear. And for nearly 60 years, Founder Bernhard Brenner has been driving toward his goal of “creating the world’s finest knitwear.” Because of this, we feel a kinship with other companies that have built their businesses on a foundation of excellence. Sal Lauretta for Men in Midland Park, New Jersey, is exactly this kind of company. 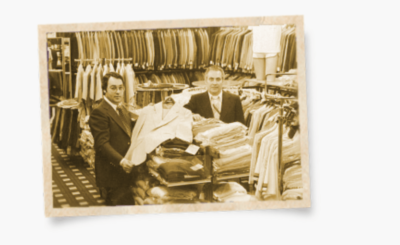 Sal Lauretta for Men has been in business in northern New Jersey for 42 years, but their story extends back much further. Like St. Croix, Sal Lauretta for Men is a true American success story with its roots in Europe. Before coming to the United States, Sal learned the fine art of European tailoring from his father Raffaele. They travelled to America in 1962, and opened their first store in 1974. 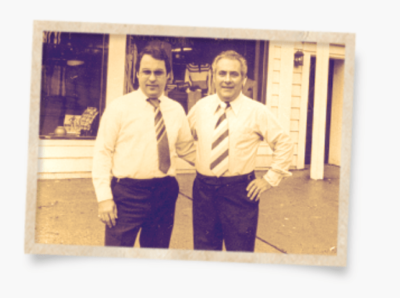 Today, the retail business is still very much a family affair, being now in the hands of the third generation—Sal’s son Ralph. Sal, Ralph, Aunt Lorena Lauretta and Brother-in-law Mark Delcastillo are all involved in the store. The spirit of family goes well beyond the actual family working for the business. They do whatever they can to make “customers feel like family,” shared Ralph Lauretta. Their philosophy about the business can be tied to three things: excellence, service and caring. 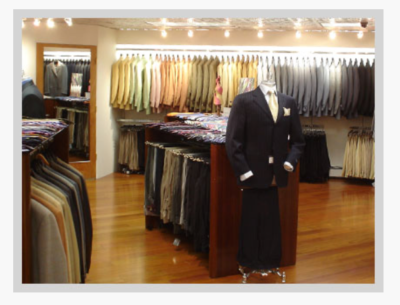 Ralph told us: “The business evolved from a more moderately priced store to a high end store. As time went by it became obvious that the customers that appreciate the level of service and alterations we provide, also have an appreciation for better quality clothing.” This set the stage for their business to be built on excellence—whether preparing made to measure clothing for their customers, or providing the highest quality luxury menswear available. The St. Croix Collections Merino Wool Vest is exactly the kind of luxury menswear that Sal Lauretta for Men likes to carry. In fact, they offer it in about six colors. Ralph enjoys being a buyer for the store, especially seeing the “new trends and the evolution that new technologies have provided in feel and performance of fabrications.” It keeps the store fresh when they are able to combine the latest in luxury fashions as well as what they’ve become known for—selling custom made suits and jackets. There’s just nothing like the feeling of a custom, well-tailored, perfectly fitted suit. Unless it’s fall or winter in New Jersey. Ralph shared that his favorite item to wear during that time of year is the puffer vest. “I live in them,” he said. This dovetails with Ralph’s description of the style philosophy for the store: clean and classic with a twist of unexpectedness. Makes you want to visit them, doesn’t it? Sal Lauretta for Men holds customer service in high regard, and strives to provide the ultimate in service at all times. “Men never want to go back to those big box stores and the hassle of the mall once they experience a specialty store like ours,” Ralph shared. And the proof for them lies not only in repeat customers that have become like part of their close-knit family, but also in sales. They find great satisfaction in seeing their sales grow by 10-20% every year over the last five years. Since its inception 42 years ago, the retail space has undergone three expansions and a complete makeover just nine years ago to the beautiful, inviting store it is today. Excellence in workmanship, the finest customer service and selection in northern New Jersey, and a business with heart at the center of what they do—three great reasons to visit Sal Lauretta for Men in Midland Park, NJ.